Love Birds Prints designed by the Lisa Jones Studio. 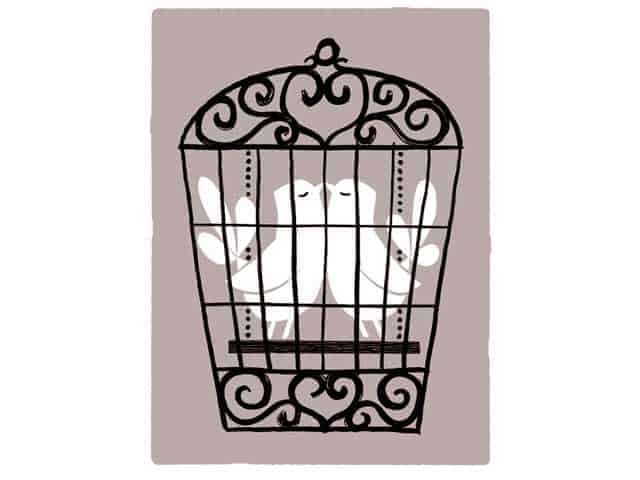 A beautiful piece of art depicting two love birds kissing in their cage on a beige background. This ‘Love Birds’ print has a lovely retro feel, but with its bold colour, would not look out of place in any contemporary home. The print measures 30 x 40cm.